which only adds to the total comfort of your flooring system. 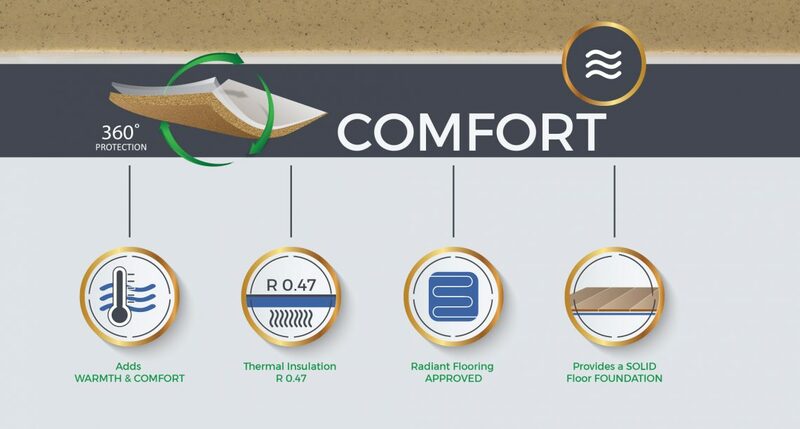 When calculating thermal insulation, the entire R-value includes each flooring component – the wood or concrete subfloor, the underlayment, and the flooring. In addition, ECF is approved for use with radiant flooring systems. Our hardwood flooring underlayment can provide comfort in any room of the house.